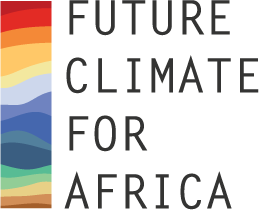 Kulima Integrated Development Solutions is proud to announce their participation in the new DFID–NERC Future Climate for Africa programme. They will be co-leading the third pillar of the project "Uncertainty Reduction in Models for Understanding Development Applications" (UMFULA, or river in Zulu). UMFULA is a climate services project that will provide new insights and more reliable information about climate processes and extremes in central and southern Africa; and then use this information in partnership with decision-makers in Malawi and Tanzania to inform development decisions with long-term consequences. The project is led by the Grantham Research Institute for Climate Change and Environment, with the Universities of Leeds, Manchester, Oxford and Sussex in the UK, Universities of Cape Town and KwaZulu Natal and the Council for Scientific and Industrial Research in South Africa, Lilongwe University of Agriculture and Natural Resources in Malawi, Sokoine University of Agriculture and the University of Dar es Salaam in Tanzania, and a variety of meteorological agencies from across the region.